As towering flames shot through the roof of Notre Dame Cathedral, some witnesses thought the Gothic structure that has stood for 850 years was doomed. 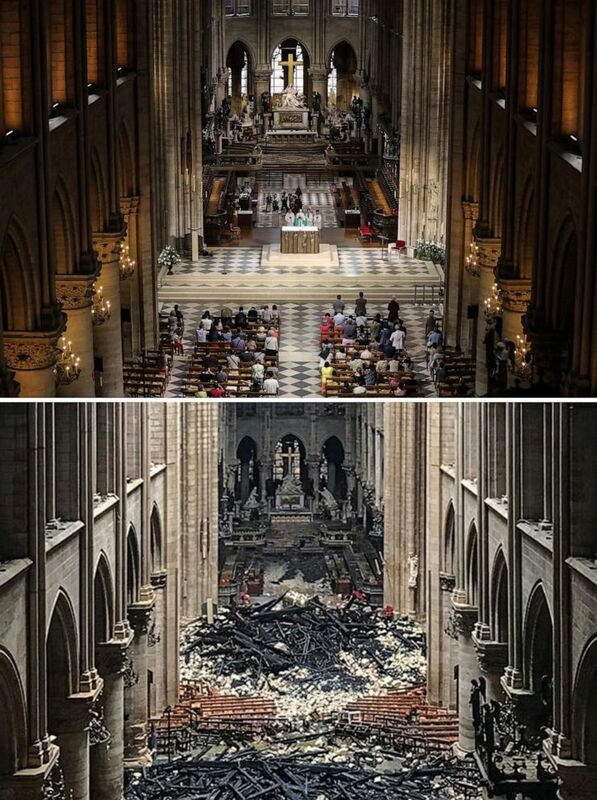 A combination of two pictures shows people attending a mass at the Notre-Dame de Paris Cathedral in Paris on June 26, 2018 and bottom, an interior view of the Notre-Dame Cathedral in Paris in the aftermath one day after a fire on April 16, 2019. A French priest is being hailed a hero after he rushed into the cathedral alongside firefighters to save the relics. 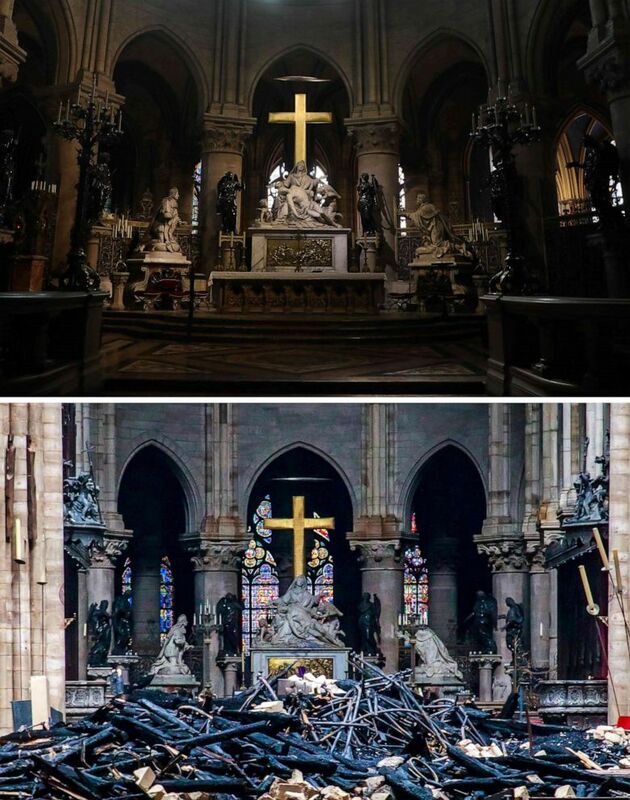 Once Jean-Marc Fournier, chaplain of the Paris Fire Brigade, got inside, he and other first responders found an intendant who had the code to access the Crown of Thorns and the group managed to get the priceless artifact out of the burning structure, he told reporters. The 315-foot spire had already toppled over by the time the team made it inside, Fournier said, adding that "the goal" was to preserve the "extraordinary relic." "This is horrible, it’s painful, it’s sad," Chauvet said. "But Easter is coming up, it gives hope. I pray a lot in front of the crowned virgin. When I went in I said, I hope she's still there, and she was. All alone."